Founded in 1995 by Kiyoshi Ogawa in Japan, Biarms wetsuits are different from those usually found in the surf shop. The design and colors of wetsuits Biarms are really original. 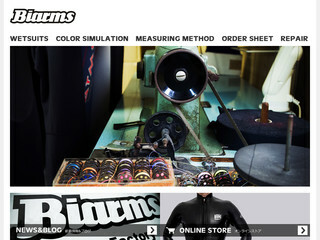 Visit the website of BIARMS Wetsuits now ! BIARMS Wetsuits , belonging to category "Wetsuits"